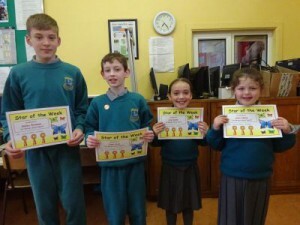 Well Done to our Maths Whizz Kids. 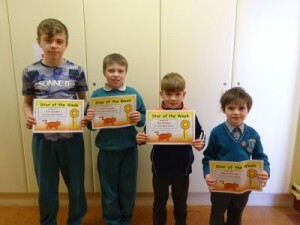 Pictured are Eoin, Aaron, Max and Edward. Well Done to this week’s ‘Stars of the Week’ for being handy helpers. 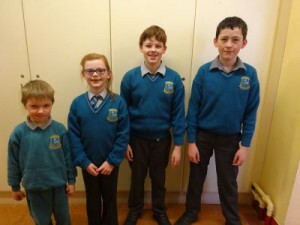 Pictured are Bláithín, Deirbhile, Cara and Dylan. Well Done to this week’s ‘Stars of the Week’ for being good sports. Pictured are Bobby, Liam, Lily and Anna. 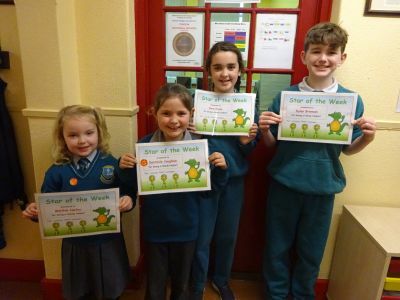 Congratulations to this week’s stars of the week who were chosen because of their good behaviour in class. 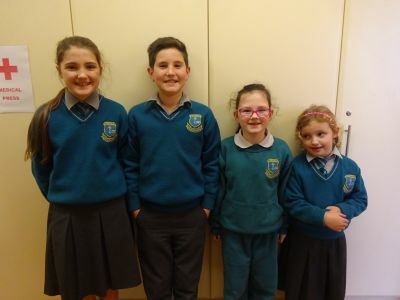 Pictured are Caroline, Sam, Kate and Orla. This week’s Stars of the Week were Chloe, Gráinne, Órlaith and Niamh who managed to keep their work space very tidy for the week! 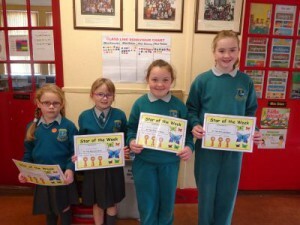 Keep up the good work girls!